According to a rumor reported by Hexus.net, AMD might possibly preparing a monster chip codenamed FX Centurion which would feature a core clock of 5.0 GHz. AMD Prepares FX Centurion Super Processor – The Titan of CPUs? The AMD FX Centurion chip is supposedly based on the Piledriver architecture, on which the FX-Vishera lineup is also based. However the FX Centurion is a special chip and is clocked at a massive clock frequency of 5 GHz, though it isn’t mentioned that whether this might be the base clock or turbo core frequency. If it is the base clock, then we would be looking at an even higher turbo core speed possibly beyond the 5 GHz barrier. You can compare this to the current flagship FX-8350 which turbos upto 4.2 GHz and you can probably take a hint at what kind of a beastly processor the FX Centurion would be. So how about this as a rumour for a Friday morning? 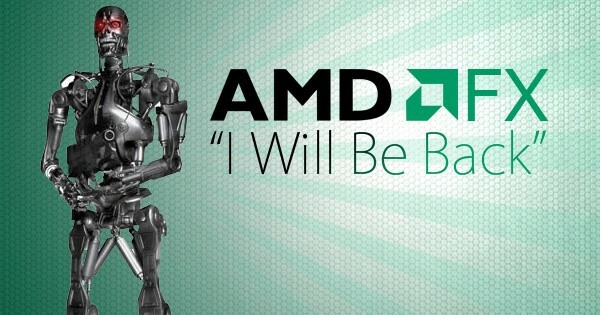 Though AMD will never go on record and confirm this, we have it on good authority that the chip-maker will soon be releasing a super-FX chip. Based on the same ‘Vishera’ architecture powering the current FX-8350, which runs at up to 4.2GHz, this new FX, codenamed ‘Centurion’, is to be made available in very limited quantities. Other details mention that the chip would be available in limited quantity and would come at a premium price range of $795 US. So this would probably we the GeForce Titan of CPUs. An overpriced yet amazing product that’s only suited for high-end enthusiast gamers and overclockers. Hexus didn’t mention how many cores would be on the chip but we guess AMD would keep the eight Piledriver modules on the chip, power, voltage and cooling hardware required for this beast have not been mentioned but the 5 GHz clock speed is stable on air. No release date was mentioned but if the rumor holds any truth then we would possibly be getting more information as launch nears.